Italian design with Swiss precision, this stunning ladies bracelet watch from Gucci hits all the right marks. The two colours play wonderfully with the light, whilst its contrasting silver round dial adds a sense of class. 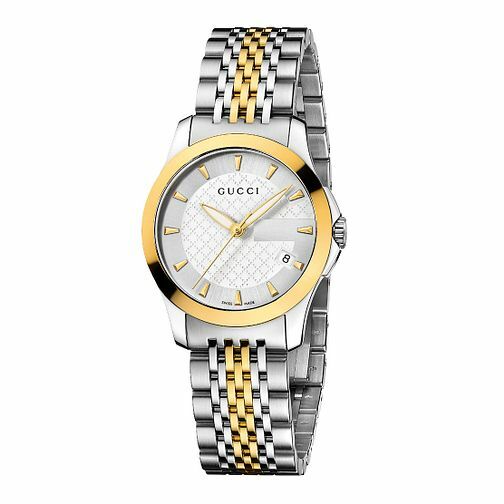 Gucci G-Timeless Two-Tone Bracelet Watch is rated 5.0 out of 5 by 4.